If you were recently involved in car accident and the Killen Police Department was responsible for the investigation, then you have a few options to obtain a copy of a Killeen car accident report. In addition, if you sustained any type of injury from the car accident you may speak with one of our attorneys about receiving compensation. 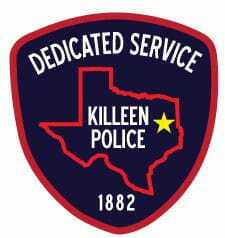 Your first option, to receive your Killeen accident report would be to request a report in-person at the Killeen Police Department Headquarters located at 3304 Community Blvd. Killeen, TX 76542 (location). In most cases, you may need to pay a processing fee for receiving a Killeen accident report so it would be a good idea to give them a call at (254) 501-8830. We’ll get your KPD accident report for you. Just provide the details of your accident, and we’ll track down your Killeen accident report and email it to you. Recently, the Killeen Police Department partnered with the online portal LexisNexis. Here, you will have access to your Killeen accident report. You will have 30 days after you purchase the report before it expires and has to purchase the accident report again. Also, you will need to pay a processing fee in order to receive a copy of the accident report and be sure to fill out as much information as possible to make things quicker for processing. You can find the LexisNexis portal here. Crash reports serve as critical evidence in personal injury claims. If you suffered injuries as a result of your Killeen car accident, we suggest that you take advantage of free case review from one of our Texas injury attorneys. Our team of legal professionals will listen to the details of your case and give you honest, qualified advice as to your best options for maximum financial recovery.